Woman-Made - Jeffrey Nall, Ph.D. In his 2014 work, Dr. Nall shows that social conceptualizations of childbirth, as indicated in popular culture, medical practice and research, promote dehumanizing, dishonoring definitions of femininity and womanhood. The dominant vision of childbirth perpetuates, he contends, distrust of both the female body and the sphere of “nature.” He also argues that the homebirth movement provides an alternative understanding and practice that is often more consonant with feminist values. ﻿﻿"﻿Mother Beware: Perilous Scholarly and News M﻿edia Discourse around Homebirth﻿,"﻿ ﻿T﻿﻿he International Journal of Communication and Health.” Fall 2013, Vol 1, no 2. ﻿“High-Fidelity Birth Simulators in American Culture: An Ecofeminist Analysis,”﻿ The Journal of American Culture: “The Greening – or not – of America.” March 2012. In this lecture Dr. Nall provides a historical exploration of the conceptual tenets that influenced the rise of medicalization of childbirth. Nall deconstructs the dominant understanding of childbirth as a medical procedure that holds sway over a great majority of not only uninformed citizens, but also medical professionals. The understanding of childbirth as a form of pathology, he argues, can be understood as a product of a patriarchal conceptual framework that links female biology to “disability” and to “nature” as opposed to “culture.” This is indicated in a variety of scholarly literature discussing the historical rise of medicalized birth between the 18th and 19th centuries, and through his examination of original, 20th century medical documents. This work does not challenge the uncontroversial contention that medical intervention can and has been useful in saving the lives of both birthing mothers and their newborn children. What is at issue is the presumption that childbirth, on average and in general, requires medical interventions generally reserved for life-threatening situations. 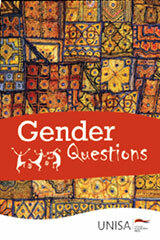 In this work Dr. Nall offers a feminist critique of medicalized understanding and practices surrounding childbirth. He particularly addresses the use of newly developed “high fidelity,” mannequin birth simulators. 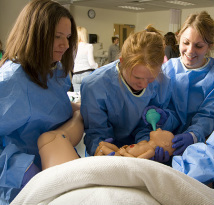 These simulators are being promoted in the United States as valuable teaching tools for educating healthcare workers such as nurses about the birth process. Nall contends that these mannequins simulate an oppressive, disempowering medical conceptualization of women’s biology which perpetuates the long standing patriarchal understanding of the womb as a source of pathology. Such simulations have the effect of educating practitioners not in birth in of itself, but in a disempowering vision of women and birth. He further contends that birth simulators and, more generally, the medical birth model itself implement what the ecofeminist philosopher Val Plumwood calls the “logic of dualism,” which has the effect of portraying birthing women’s consciousness and agency as impediments to successful birth. In this talk Dr. Nall discusses medical scholarship and news media proclamations of the dangers of homebirth. Nall contends that such has had the effect of strengthening the popular belief that women’s reproductive processes are inherently prone to malfunction and, thus, require technological intervention in order to ensure “safe” births. Yet the foundation, upon which such claims rest, specifically, a widely touted 2010 study indicating the risk homebirth poses to infant mortality, is marred by fallacies that seem due to negative gendered presumptions about female biology. In this talk Dr. Nall takes students on a tour through the representation of childbirth in contemporary Hollywood films and popular television. He argues that dominant cultural representations foster a narrow and potentially damaging, disempowering, and dehumanizing depiction of childbirth. In particular the representation of childbirth almost always falls within these narrow themes: birth is a bitter experience, birth is a medical event, birth has very little to do with maternal agency, birth is not an accomplishment, and the reproductive double-bind: the idea that women are both purposed to birth children but that they are also not sufficiently equipped to do so without the significant assistance of men.